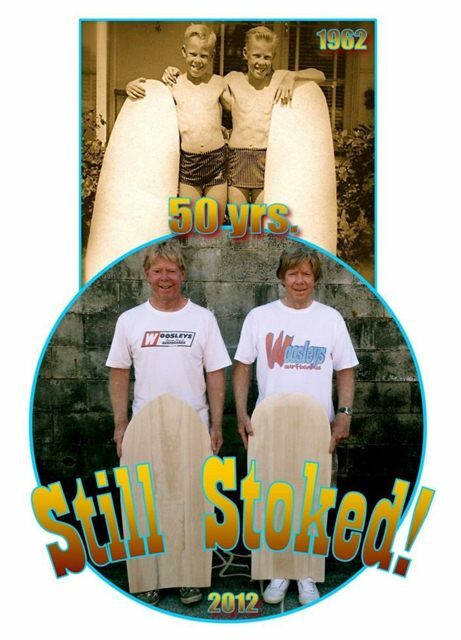 Woosley Surfboards web site is a dedication to maintaining Ray Woosley’s legacy, and keeping the stoke alive! 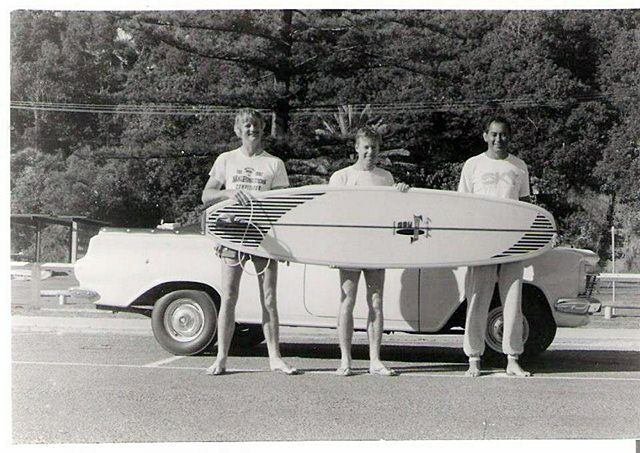 We decided to create a Web Site to gather and display the history and development of Woosley Surfboards – one of Australia's most iconic surfboard manufacturers of the 50s, 60s and early 70s. As a hobby, we have re-created some of the logos, and made replicas of all the classic RETRO models from the 1960s, using the best materials available. We hope you enjoy the stoke as much as we do! We are maintaining an unbroken chain from Ray Woosley, who taught Rod Teys, who then passed his knowledge on to Matt Keane. Bill Stewart, Tony Stewart and John Savage with the Brothers Stewart's trusty VW and Woosley Trackers on top, circa 1971. Tony at Rainbow, with his signature Drop knee cutty! 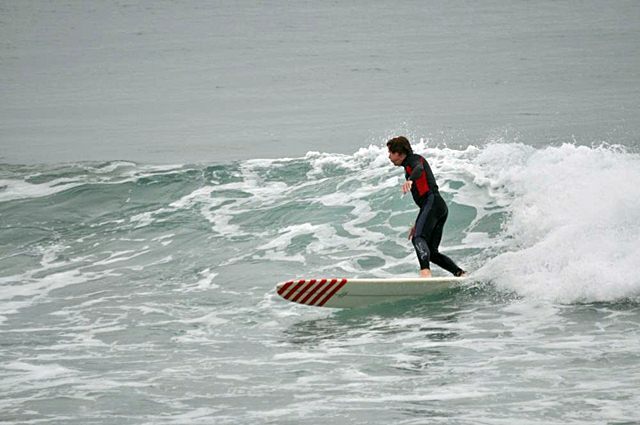 Bill Stewart, about to kick out at Greenmount point on his Matt Keane 9’2” Woosley. 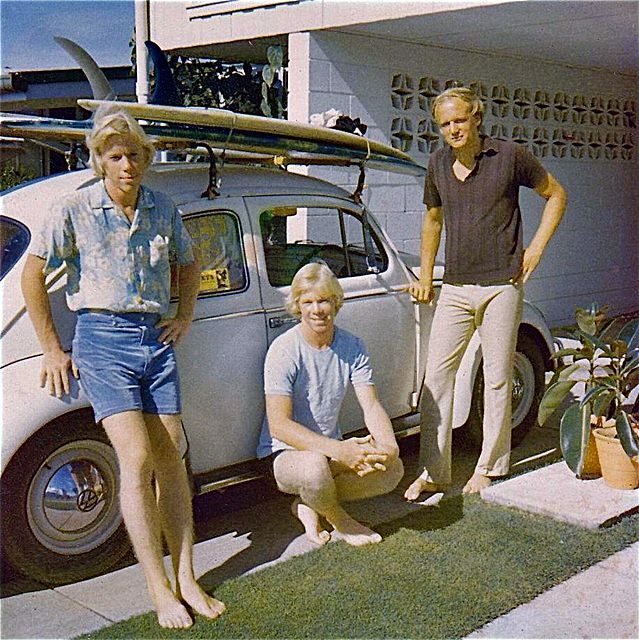 Trevor Garbett, Bill Stewart and Barry at Currumbin car park, with a Rod Teys Woosley, circa 1989. 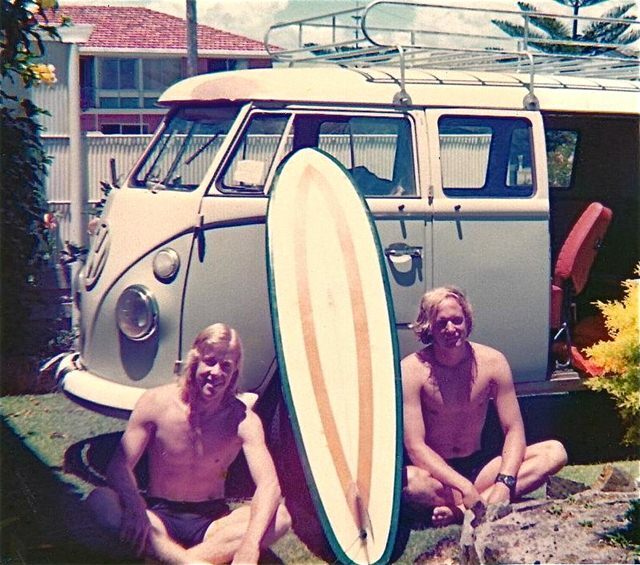 Bill Stewart and John Savage with John's Kombi and Tony Stewart's Rod Teys short board, circa 1972. 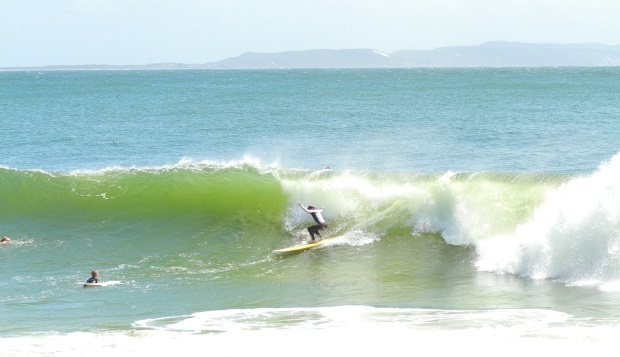 Tony Stewart free surfing on a Woosley Epoxy prototype at National Park Noosa during the 2013 Noosa Festival of Surfing. 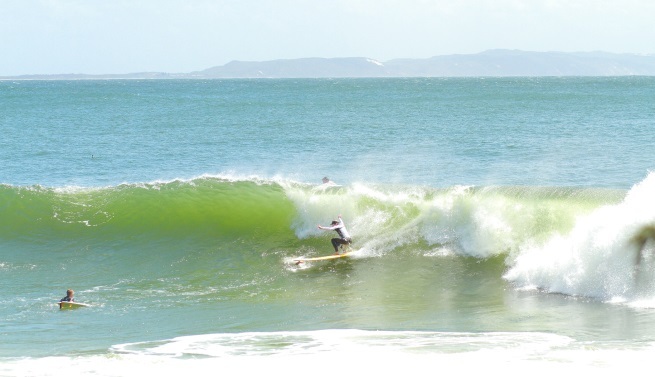 Bill Stewart on the edge of disaster off Boiling Pot on his Woosley high performance "Jailhouse" model during a free surf during the 2013 Noosa Festival of Surfing. These boards are designed to handle late take-offs and powerful waves.